Soft and squishy knit beanie to keep your head warm and cozy ago winter! Hand knit by yours truly. 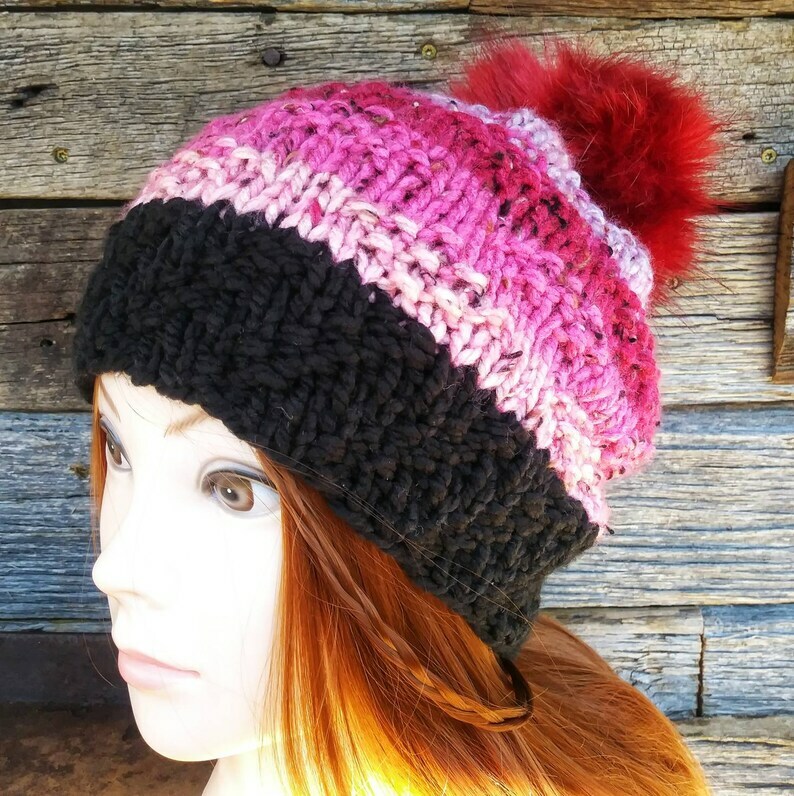 Fabulous dark pink faux fur pompom included! Affinity beanie pattern by Stitched by Sarah S.
Loops and Threads Charisma® yarn. 100% acrylic. Lots of stretch to fit am average sized lady's noggin. Message me to request another color. Thanks for looking and have a great day! !